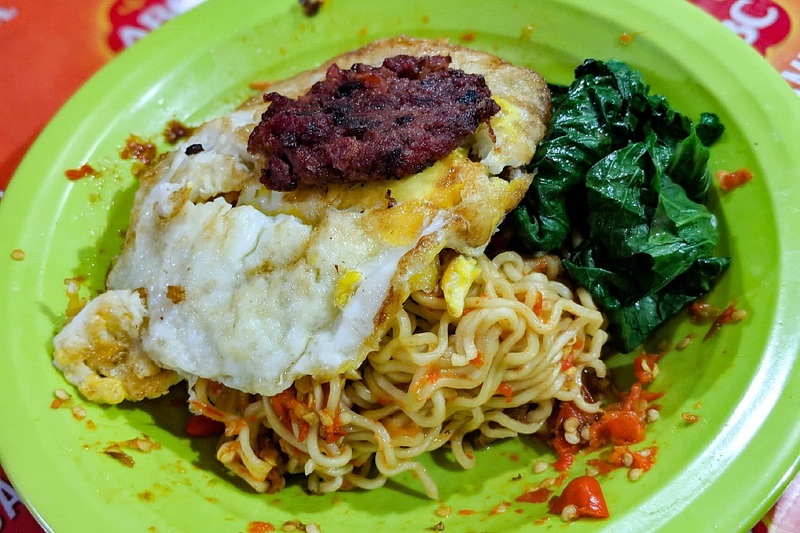 [Jakarta] It won’t be exaggerating to say that “Indomie” has become Indonesia’s de facto “national noodles”? 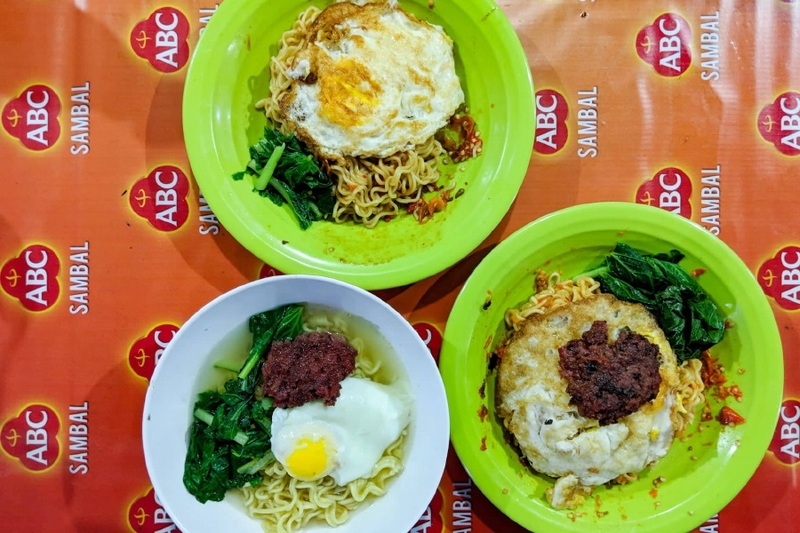 For Indomie as well as SPICY food lovers, you can find this duo combination at Warung Mi Abang Adek, located in the back alleys of West Jakarta. 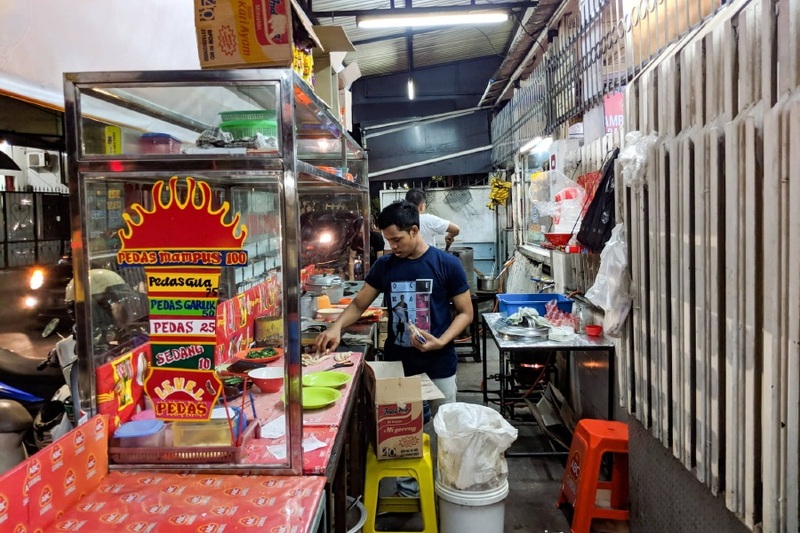 This warung is known for their potent “Death Noodles” a.k.a Indomie (soup or dry) served with loads of chilli padi. When I said “loads”, I really mean it. 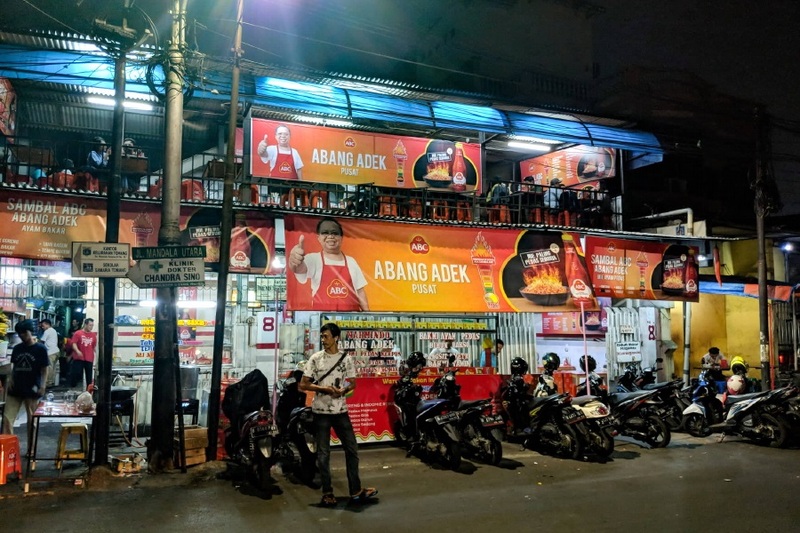 Popular with the students, this pocket-friendly warung opens until late night at 2am, making it suitable for a late-night supper place. 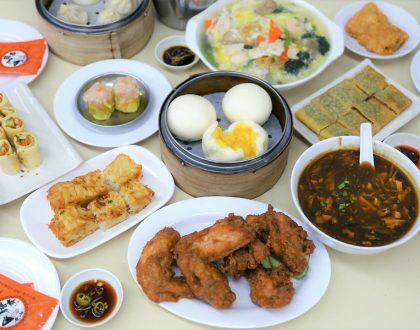 But you probably end up sleepless after a bowl of bowls. Get ready for 100 chilli padi. Certainly not for the faint-hearted. Be prepared. 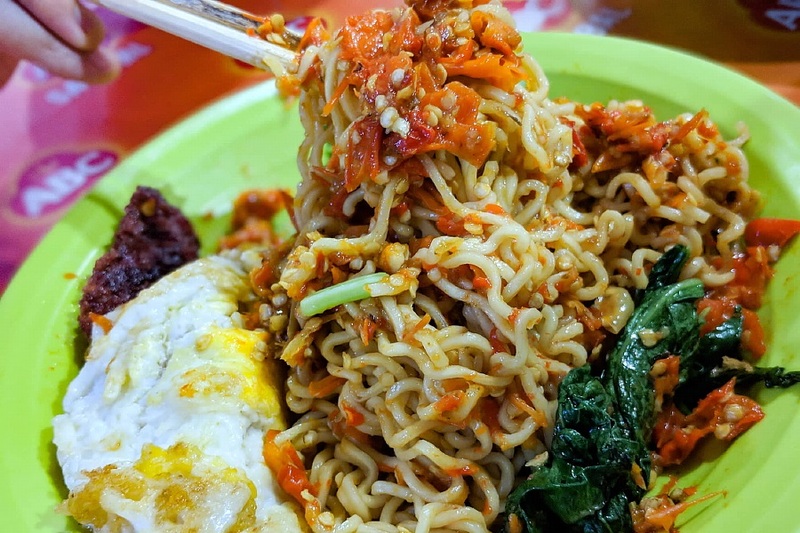 This noodles actually gained fame through instagram, with youtubers and influencers trying to finish up the highest-level aka Pedes Mampus. 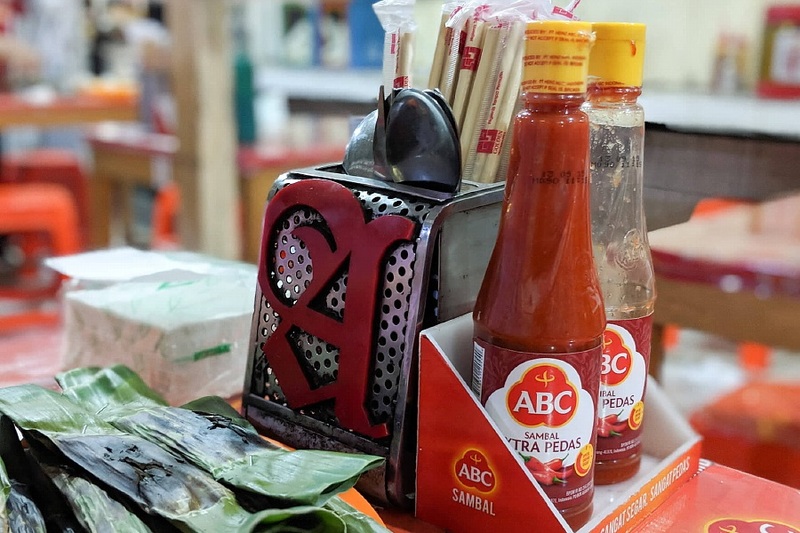 There are many shops claiming to sell “the spiciest”, but few reached the fame of this shop. 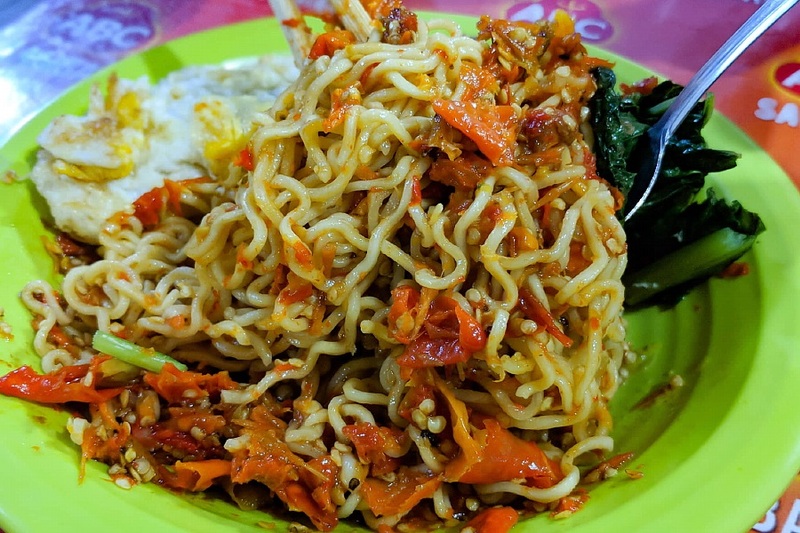 The “Pedes Mampus” which is also known as “The World’s Spiciest Noodle”, was given mentions by Food Insider and Indonesia Museum of Record, with the estimation that it could reach 20 million SHU on the Scoville Scale. I actually tried the noodles a couple of times, and like endless fights on a computer game, I finally managed to level up until Level 4 aka Pedes Gila. I am back here for the challenge. 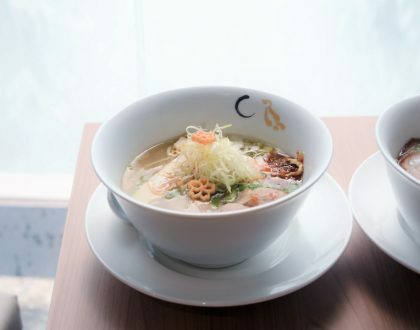 For the noodles, you can add “toppings” such as corned beef, fried egg, fish cake and cheese to dilute the spiciness. I ordered mine with fried egg and corned beef. So, this fiery dish contains 100 smashed chilis padi hidden beneath the plain sight, so you really need to mix it evenly. 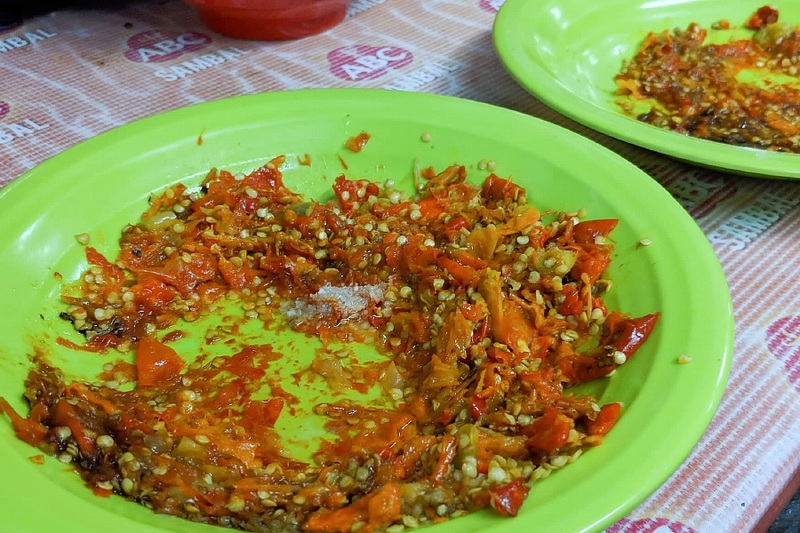 To make it worse, they boiled the chili padi beforehand to bring out the “heatness”. 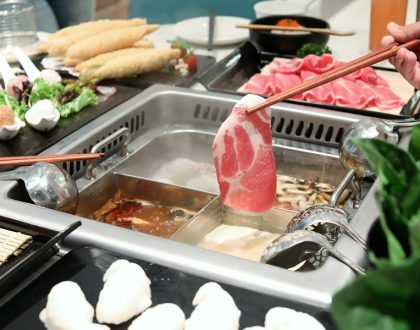 If you think you can handle it, and need more “kick” to your noodle, you can get extra chili sauce from the bottles on each table. But you probably won’t need it. 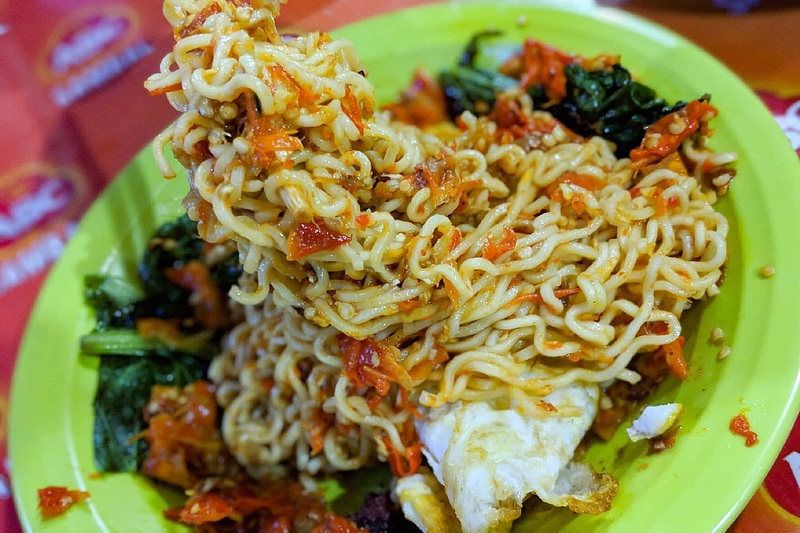 The first bite, all I could taste was the bitterness of the chilis, simply overwhelming the signature aroma of the Indomie. Shortly, I experienced temporary “deafness”, and I could barely talk. Soon enough, I was covered with my own sweat and my stomach started to react to the heat. Without doubt, I can testify that this is probably the spiciest dish I ever tried this lifetime. 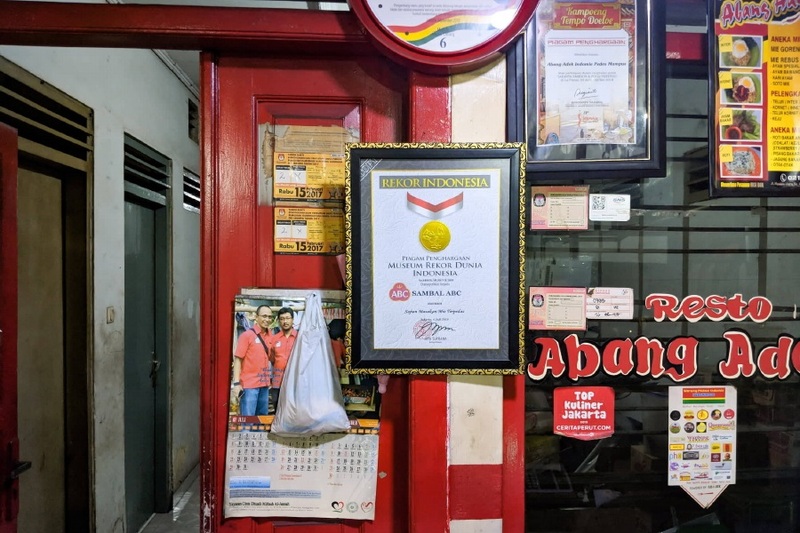 Abang Adek gained international famed thanks to the Youtubers, and has become sort of “must try” dishes in the city. Well, I found out they do serve a version which contains 150 chilis – which themselves don’t recommend.